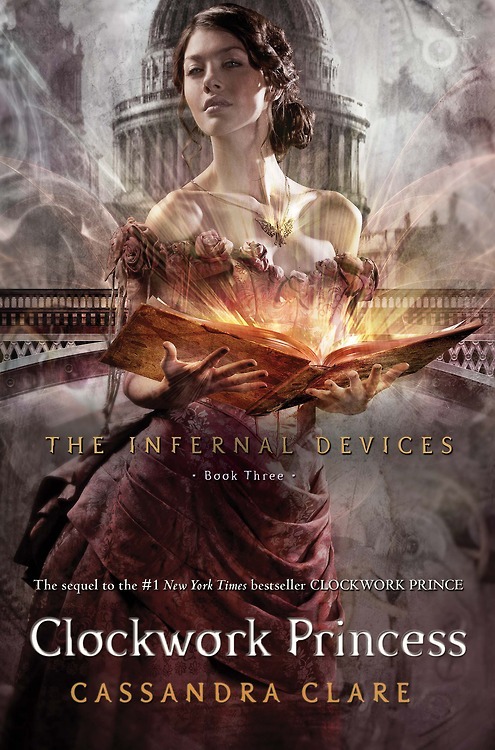 I'll start of this review by saying that the Infernal Devices is definitely my favorite series of all time. I've been with this series since Clockwork Angel first came out, I've shared the books with friends, I've reread the books, and by the end of Clockwork Prince, I had some crazy Feels brewing inside me. I don't think I can accurately do this series any justice by reviewing it because my love for it, and mostly because my thoughts on this book especially are emotions that I can't even begin to decipher. I will always, always love Tessa Gray. She's feisty, sassy, strong, independent, and brave. She also knows how to love. And while that love creates the most intricate of triangles, I understood it. I will always love how Tessa would surprise everyone with her courage. I don't think I've ever met a character that was extremely courageous and brave, but didn't come out to be a martyr (which I find to be a trait that is getting old with characters). Also, Tessa is a bookworm, so she gets brownie points from me! Ahh . . . You cannot discuss this book without discussing Will Herondale and Jem Carstairs. I think it's impossible to do so. I don't know if you know this, but I am a full on shipper of Will and Tessa, my OTP. And at first, I didn't like Jem because of *spoilers that I will not mention*, but with this final book to the series . . . I think I actually kinda do love him. Never as much as Will, but I love him. So, there was an actual completion of the story for Will, Tessa, and Jem in this story. An actual . . . ending . . . to their story. It is definitely a hard fact that I may never accept, but I think I may possibly move on with lots of therapy sessions and chocolate. I don't want to say a single word as to what happens to the plot in the book because I'm sure I'll spoil it one way or another. However, I will say that those 568 pages were anything but boring. I should probably be telling those of you who are reading this review to not read this series. I have never cared and loved so deeply for fictional characters. I should warn you that this series is not a healthy way to express you book obsession because all you will think about is this series and its characters for the rest of your life. I should also warn you that Cassandra Clare has ripped out my heart and scrambled my insides, leaving me raw and an emotional train wreck (I have never cried so much in my life). But since I know that all of you are masochistic maniacs like me, I highly suggest reading this book. Clockwork Princess may be the end, but to me, this book full of passion, love, adventure, hate, and action will never end. Clare's beautiful writing that created such dimensional characters and a world full of darkness and evil will always stay with me.